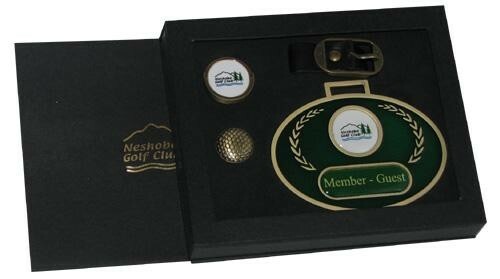 Create a one-of-a-kind gift set for your next Member-Guest, Club Championship or Charitable outing, utilizing our Flip Top Box series featuring a clear view window with a custom foil imprint on the sleeve. We custom die cut the insert to fit the products of your choice and budget. These will be impressive gift sets for any event. Sizes and prices will vary depending on the product configuration.